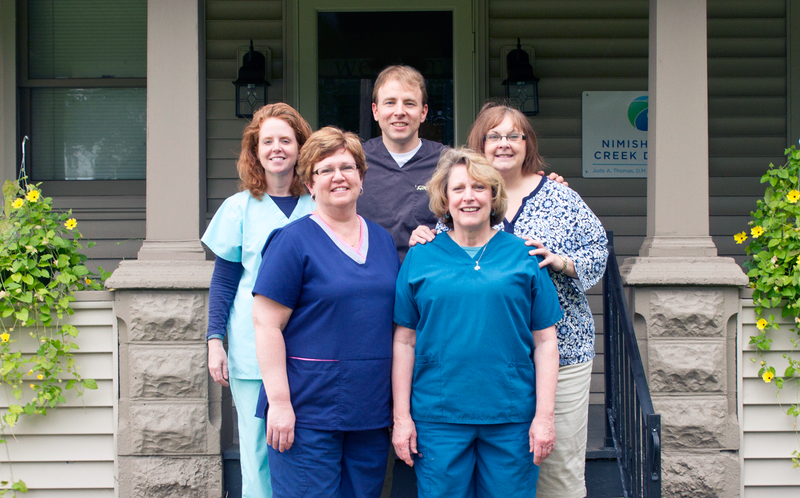 At Nimishillen Creek Dental, our philosophy is very simple: we treat people the way we would like to be treated and we strive to provide the best possible care comfortably, compassionately, and ethically. We are not a chain: we are your neighborhood dental practice. Our practice was built in a house, rather than in a business complex, and our philosophy reflects that: we like to treat our practice as a home, rather than simply a workplace. We hope that it feels like a home to you as well. Our goal is to get to know our patients and to maintain the sense of familiarity, kindness, and humor that has been built into the practice over the years, while we earn your trust. We know that when you choose a doctor, plumber, builder, accountant, mechanic, etc., there can be a great deal of satisfaction in finding someone who feels like a friend – someone you can simply trust to do the right thing for you and treat you with kindness while doing it. We hope that we can fill that role for you.